I saw this amusing mod to the game Grand Theft Auto V, that lets you play as an animal. You can explore & cause mayhem as a pig, wolf, or monkey! I write & draw with my left hand, and I always took pride in being left-handed. In the conformist atmosphere of school, "lefties" were seen to be different- which suited my creative personality just fine. 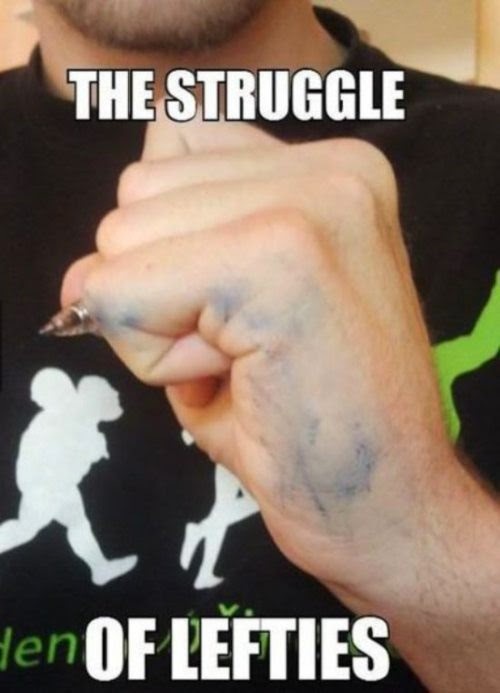 The only major downside I experienced with being left handed is the smearing of ink or pencil lead every time I try to write something. When using a lead pencil, this smearing is called "Silver Surfer Syndrome". When I was in school & used erasable ink pens,the side of my hand would be smeared with ink & my paper would be a mess. I had to use another piece of paper, under my writing hand, as I went down the page to prevent smearing. 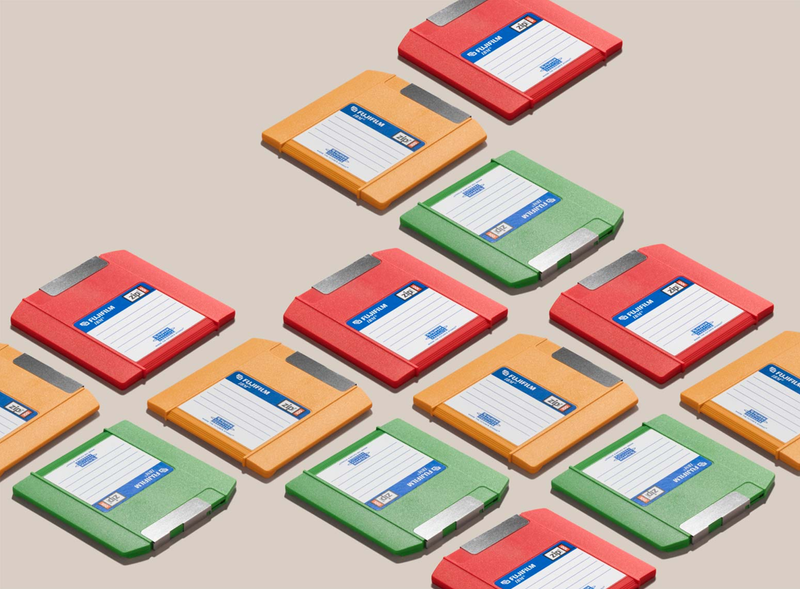 It was extremely annoying, & one of the reasons I prefer making art or writing on the computer. In college, all the computers in the lab had the mouse on the right side. Therefore, I just ended up learning to use my right hand for the computer mouse. As a professional designer, I still use my right hand with the mouse! So, I guess I'm actually ambidextrous! In "Star Wars: Episode II", there were representatives in the Galactic Senate that looked like the alien from "E.T." This movie "easter egg," in connection with events in E.T., has led to the theory that the E.T. 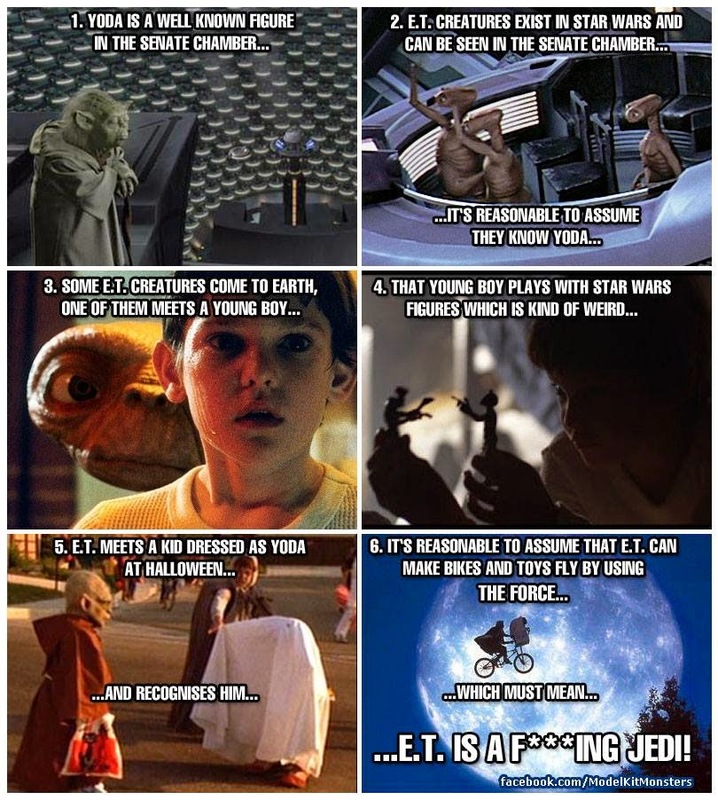 alien is actually a Jedi! For the record, I vividly remember my parents taking me & my sister to see E.T. in the theater when we were little. I was around 5 yrs. old & my sister was 3. The movie scared the crap out of us & my sister was crying under her seat when E.T. popped up in the field for the first time. I'm always fascinated by the workings of biology, especially the nervous system and the brain. I saw this cool animation that visualizes the patterns of electrical activity as neurons fire. After looking into it, I found that the animation above is from the 'Glass Brain' project, which uses 3D visualization to map bran activity in real time. 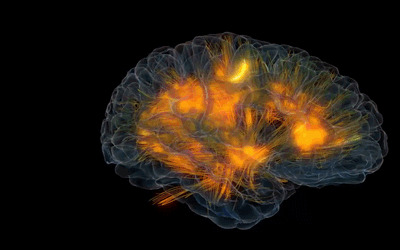 After seeing this, I was reading a related article about the effort to map brain activity down to the individual neurons. This is currently being used on worms with a simpler nervous system. With this research, and the recently launched BRAIN Initiative by the US government, we will undoubtedly see increasing knowledge about this subject in the coming years, similar to the unraveling of the genome. On fusion anomalog, I saw this funny animation of the surrealist painter and one of my favorite artists, Salvador Dali. Today I learned that Swiss surrealist painter H.R. 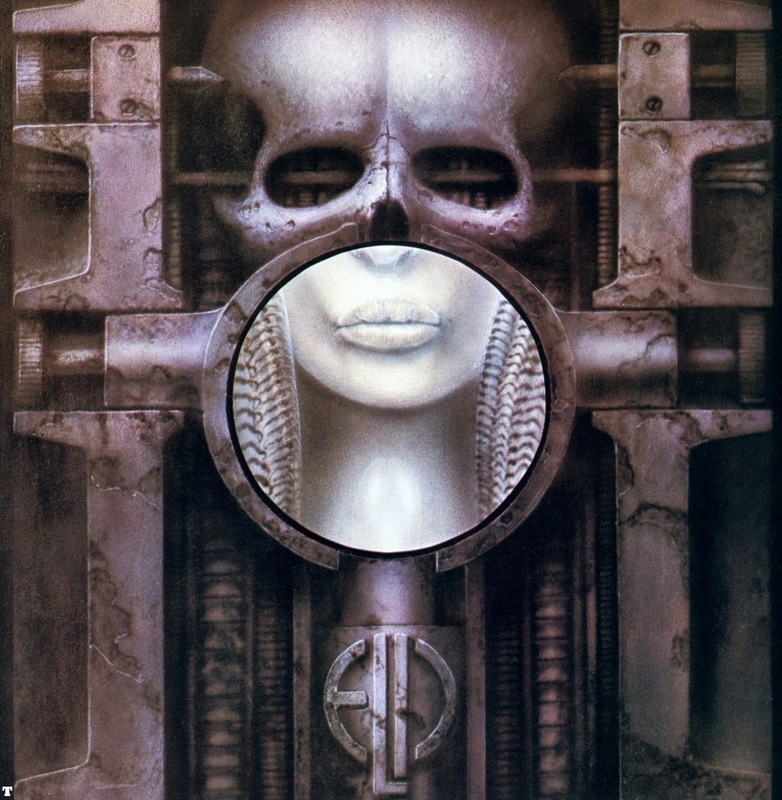 Giger has died. H.R. 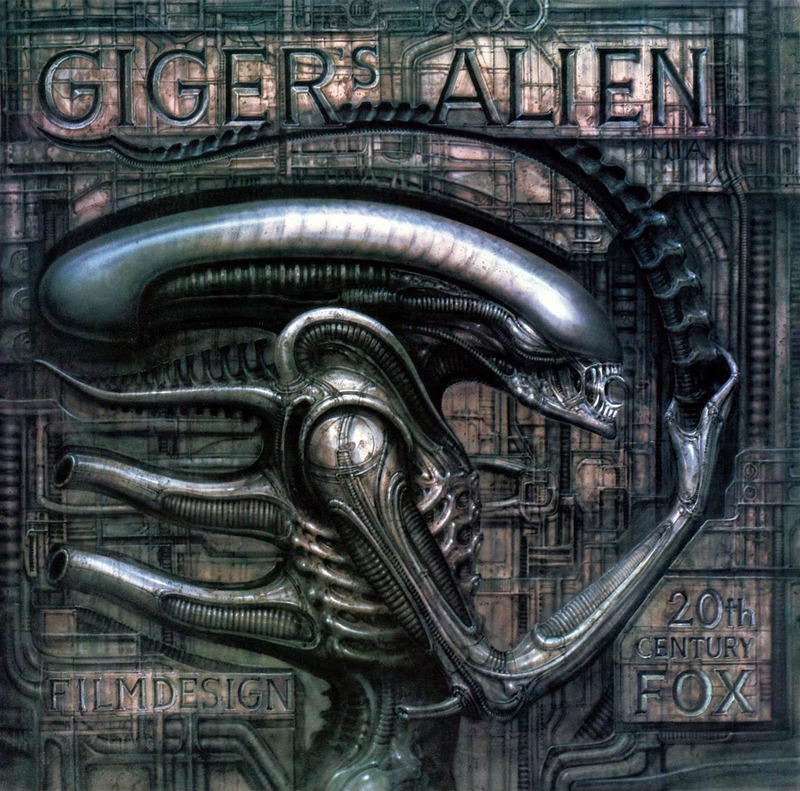 Giger was one of my favorite artists. I've posted about him on this blog a few times, & I own several of his art books. 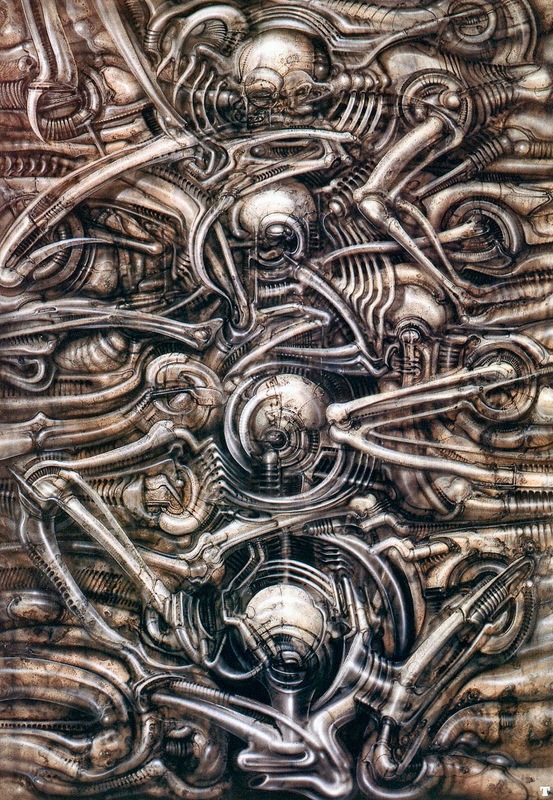 His unique "biomechanical" designs were used in the iconic, terrifying design of the Xenomorphs from the "Alien" movies. His art was also used to develop the awesome Darkseed computer games that I played as a teenager. The painting "Meister und Margeritha" was featured on the Danzig album, "How the Gods Kill". 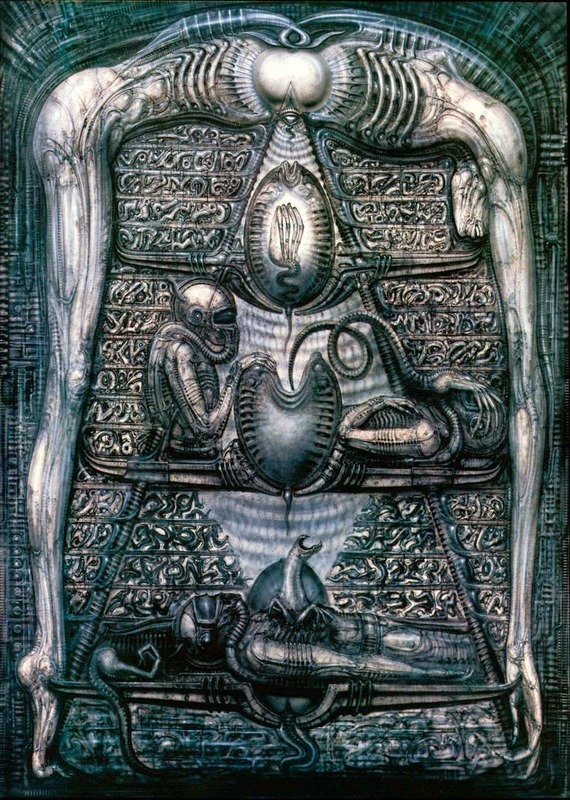 He blended organic & mechanical elements into twisted, unsettling images that were compelling and rich in surreal detail. Much of his art was monotone, but very intricate in design. The themes in his paintings were often otherworldly and nightmarish, with strong sexual overtones. It's almost the weekend, when even The Monkey Buddha may imbibe and let loose. 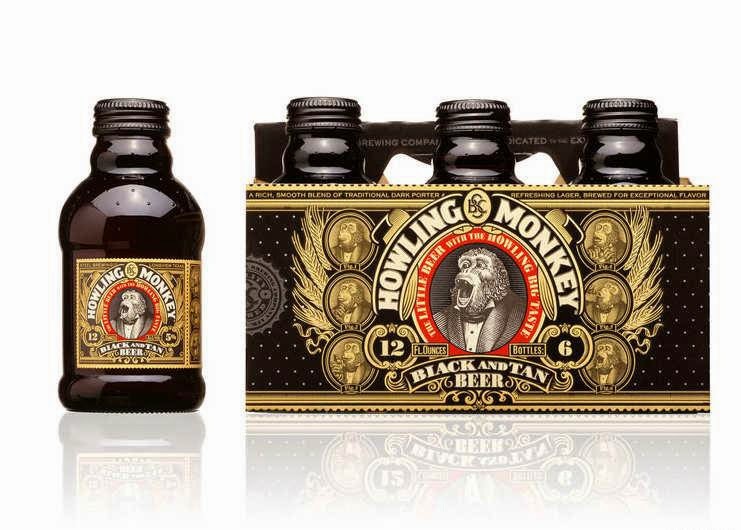 On The Dieline, I saw this black & tan beer that I used to drink in college. 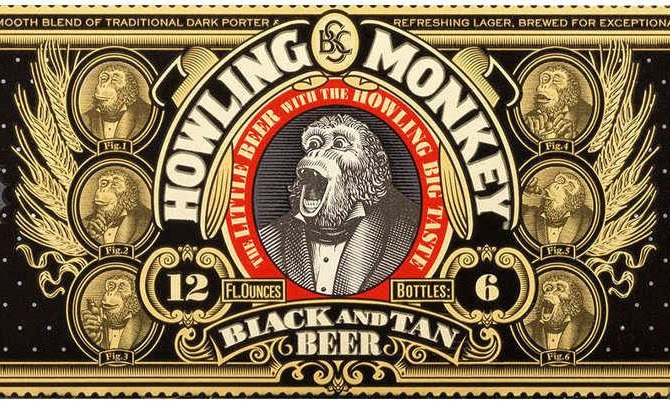 Unfortunately, the brewery shut down, but I've always loved this label design, by Turner Duckworth. I saw this list with excellent suggestions for living a more mindful life. Instead of dwelling in the past or future, we should try to fully experience each present moment. I try to manifest each of these qualities in my every day life, as much as I can. • Turn daily tasks into mindful moments. • Pay attention to your breathing. • Know when NOT to check your phone. • Seek out new experiences. • Feel what you're feeling. • Be conscious of what you put into your body -- and mind. • Remember not to take yourself so seriously. 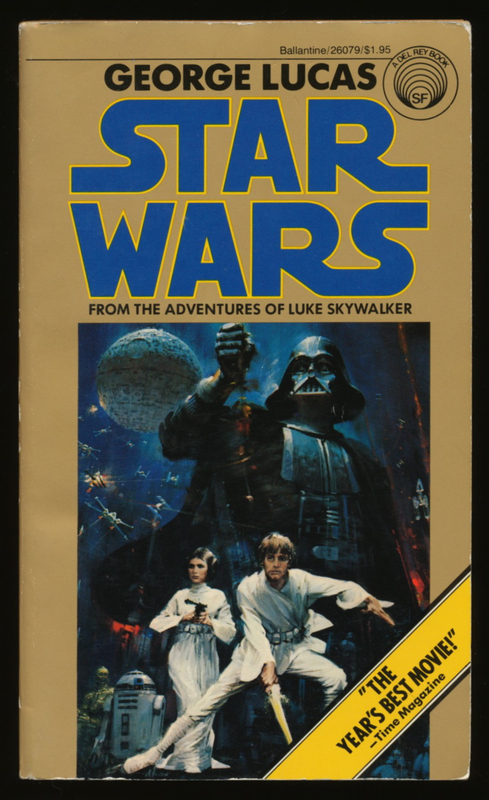 Today is Star Wars Day, celebrating my #1 movie series- the epic saga that has become the mythos of the modern age. Today, my sister is having a Star Wars Day "Intergalactic BBQ". She's also very creative & comes up with awesome themes for her kids' parties. There will probably be alot of lightsabers, costumes, & the movies playing in the background at her house. My nephews are part of the newest generation of kids that love these movies, with its classic story elements and unique universe of locations & characters. 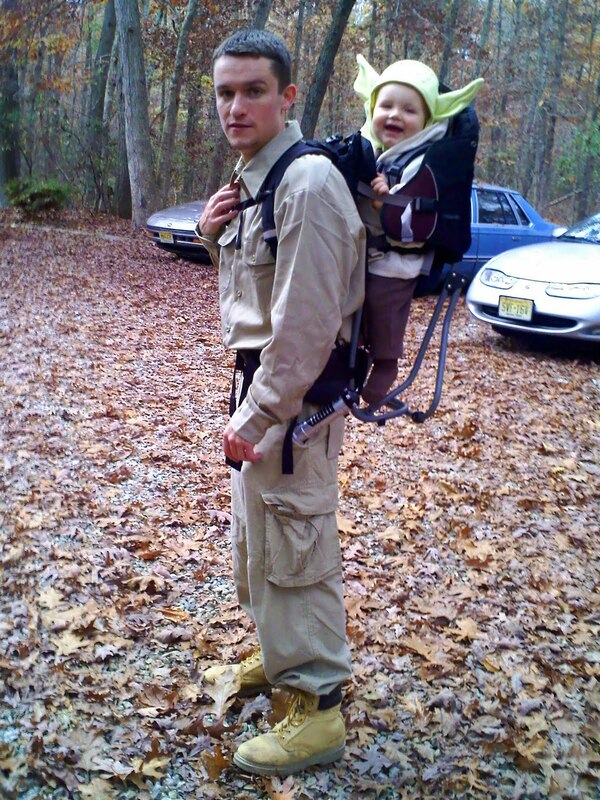 carrying my nephew around in his "Yoda" pack when he was a baby. 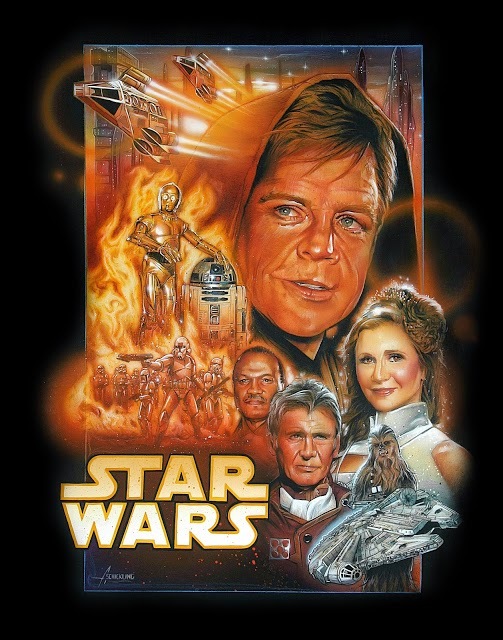 "Star Wars Symbol Cycle: A Long Time Ago"
"Anatomy of a Logo: Star Wars"
before it was known as "Episode IV: A New Hope"
"Op-ed: Disney takes a Chainsaw to the Star Wars Expanded Universe"
Review: "Star Wars: Episode III – Revenge of the Sith"
• On FFFFOUND! 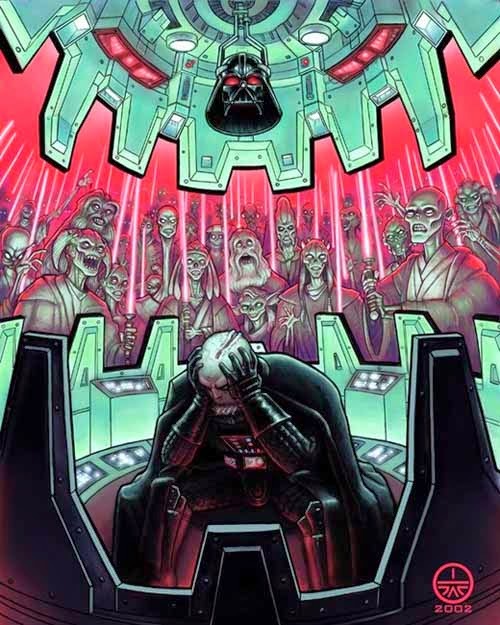 I saw this illustration of a helmet-less Darth Vader inside his meditation chamber, haunted by the ghosts of the Jedi he murdered. 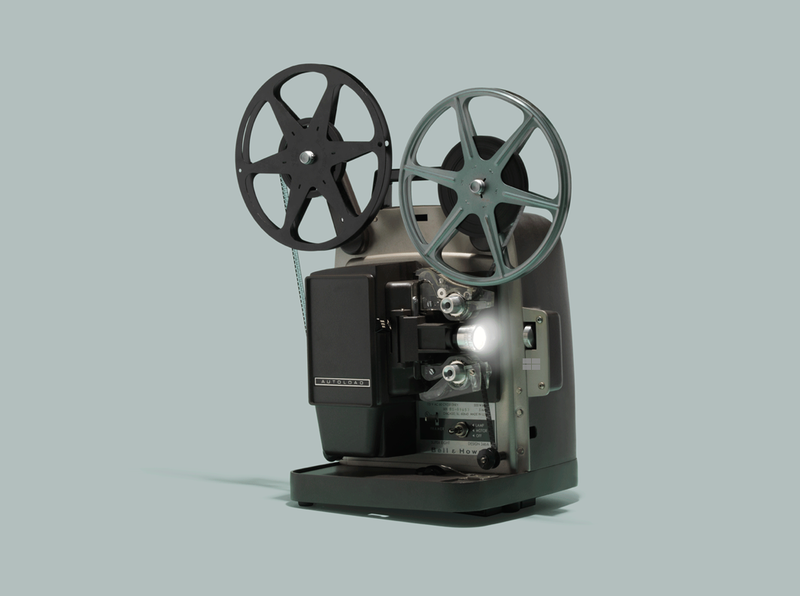 I came across this gallery of tech, by photographer Jim Golden, that features various equipment from the last 100 years or so.